There seems to be demand for an iOS 6.1.3–5 jailbreak solution, because following p0sixspwn’s initial release countless iDevice owners have been using the free software to jailbreak their iPhone, iPad, or iPod touch under iOS 6. The good news for jailbreakers is that p0sixspwn has been updated once again, adding support for OS X Snow Leopard and making a number of crucial bug fixes. Developed by @iH8sn0w, @winocm, and @SquiffyPwn, p0sixspwn can be downloaded free of charge for both Mac and Windows (as of a recent release), and the software provides an untethered jailbreak solution for iDevices running the more recent iterations of iOS 6. 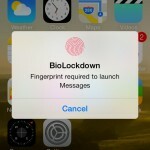 Though an iOS 7 jailbreak is indeed available for all, certain iDevice users may have avoided this update due to crucial iOS app incompatibilities, or a general dislike for iOS 7’s major redesign. Previous updates for p0sixspwn have eradicated bugs concerning iMessage and 4G LTE, and this most recent update continues to enhance the software. Though its developers haven’t outlined precisely which bugs have been fixed, the three do note that support for OS X Snow Leopard has been added as of p0sixspwn 1.0.5 for Mac. The updated software, p0sixspwn 1.0.5 for Mac and p0sixspwn 1.0.5 for Windows, can be downloaded from the p0sixspwn website free of charge. 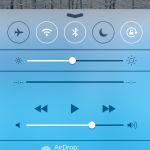 If you do decide to jailbreak under iOS 6, one positive is that you won’t need to wait for your favorite jailbreak apps and tweaks to be optimized for the newer iOS 7. 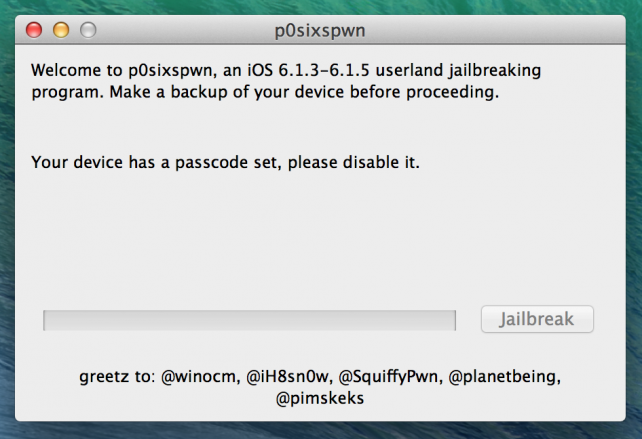 Below, we’ve included a video tutorial which explains how iDevice users can jailbreak using p0sixspwn. See also: Belkin Adds Lights, Maker Kit And Crock-Pot To Its Line Of WeMo Devices, Popular Streaming Player Maker Roku To Release Very Own iOS-Controllable Smart TV, and Watch ABC Now Requires You To Verify Your Subscription To Watch Shows On Demand.